The Valerie Fund is driving toward a healthier tomorrow. Your gift to the Green Light Initiative will give a green light to children with cancer and blood disorders. 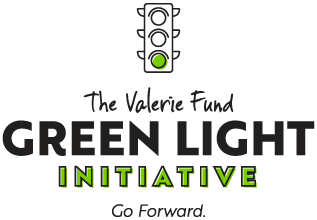 100% of funds donated through the Green Light Initiative supports direct services for the kids and their families. For additional information regarding programs and sponsorship, please contact Barry Kirschner at bkirschner@thevaleriefund.org or 973-761-0422. Where would you like to apply your donation? Is your company matching your gift? We will not share your email address or personal information with anyone else.